If you are a representative of a direct advertiser. Select the client whose campaign should be copied in the Clients tab. 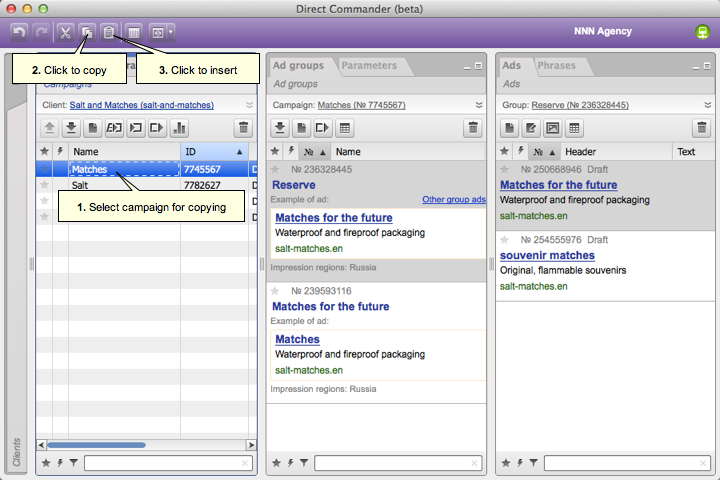 Select the necessary campaign in the Campaigns tab. Press the key combination Ctrl+C (for Mac — Cmd+C) or the button. 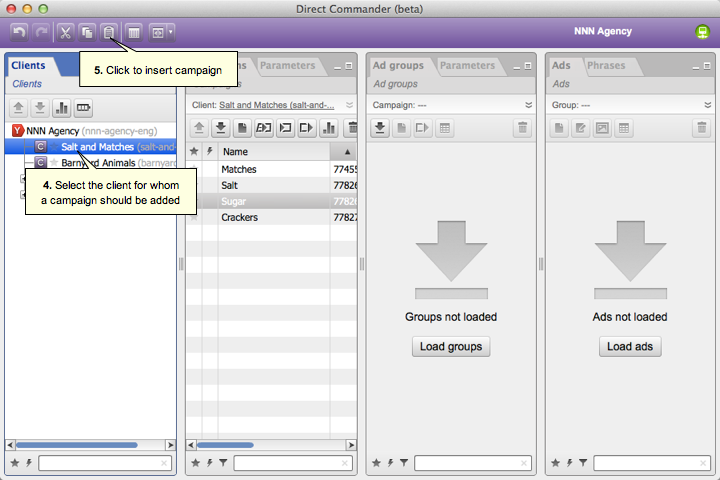 If the campaign coy should be added to another client, select that client in the Clients tab. Press the key combination Ctrl+V (for Mac — Cmd+V) or the button. As a result, a copy of the ad campaign is created with all groups, ads, and keywords included in it. Make the necessary changes in the campaign, group, ad, and keyword settings. 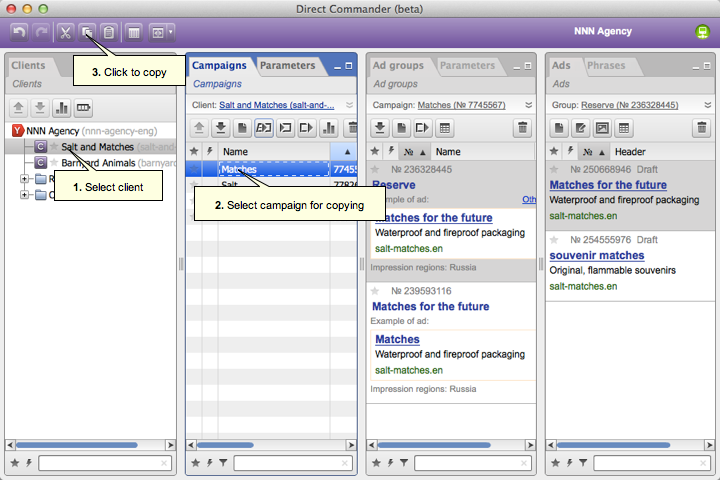 Select the campaign that needs to be copied in the Campaigns tabs.